A string trio from the German-speaking part of Switzerland joined forces for the first time with their English guest on tenor and soprano saxophone. 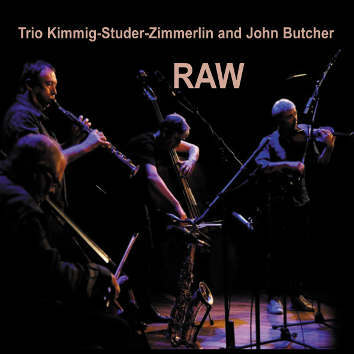 Harald Kimmig (violin), Daniel Studer (bass) and Alfred Zimmerlin (violoncello) decided that their tight improvising unit needs a new challenge with guest musicians. They invited an Englishman John Butcher (tenor and soprano saxophone) and their collaboration reached a new height. One can immediately hear the spiritual bond that developed between the trio and the Brit.